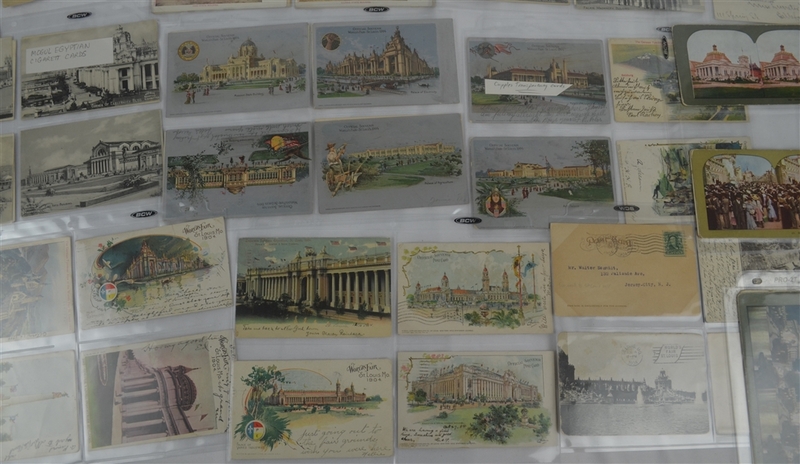 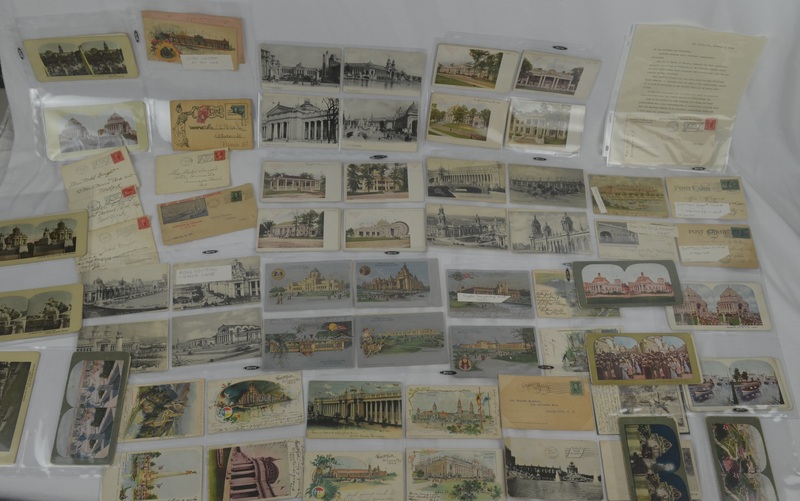 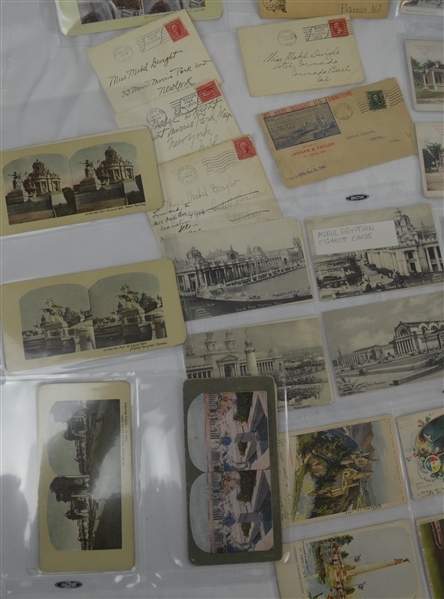 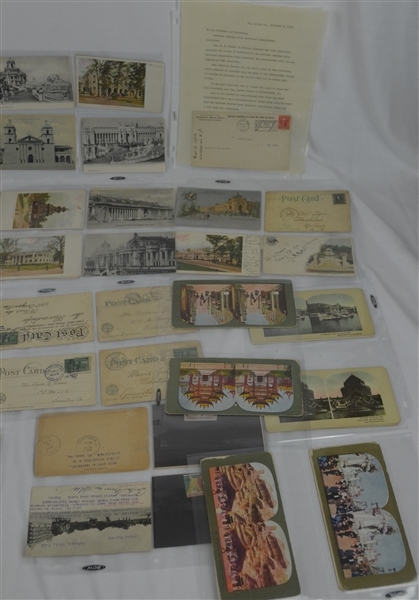 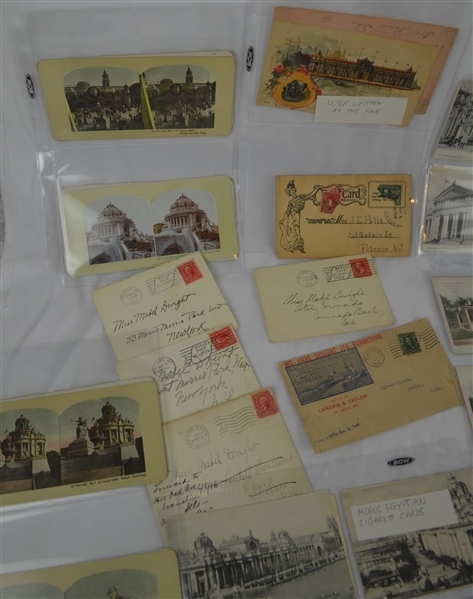 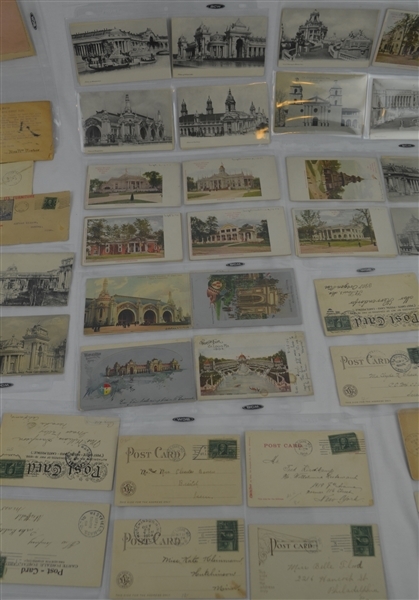 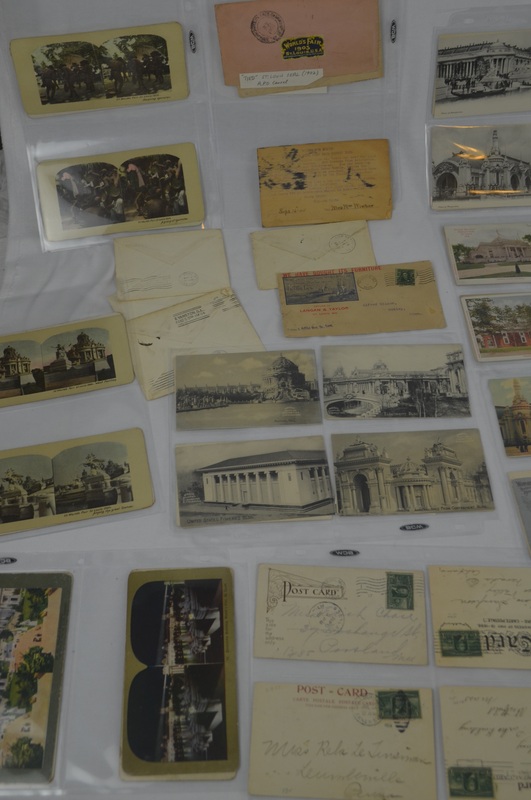 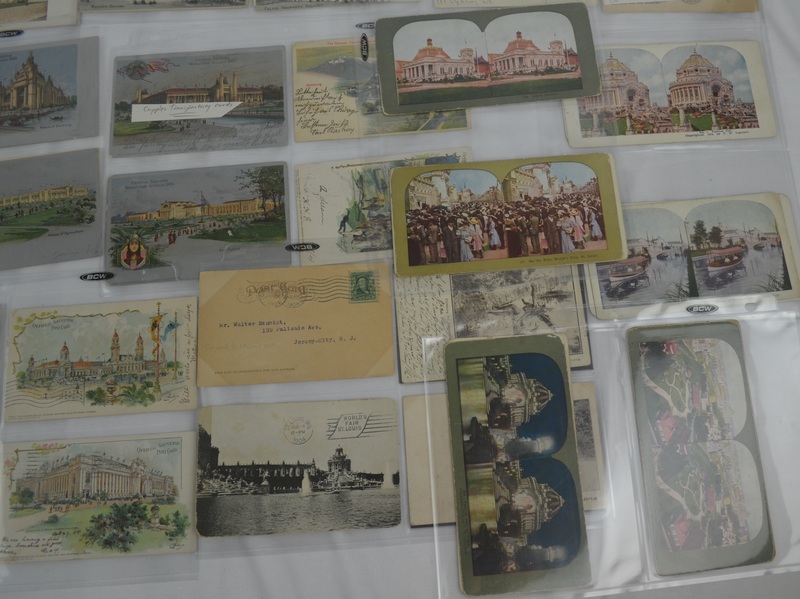 This lot features an extensive collection of vintage post cards, first day covers, stamps, envelopes and more dating to the 1904 World's Fair in St. Louis, Missouri. The 1904 World’s Fair in St. Louis, otherwise known as the Louisiana Purchase Exposition, spanned 1,200 acres, boasted 1,500 buildings and 75 miles of roads and walkways, and included 62 foreign nations and 43 states in its exhibitions. 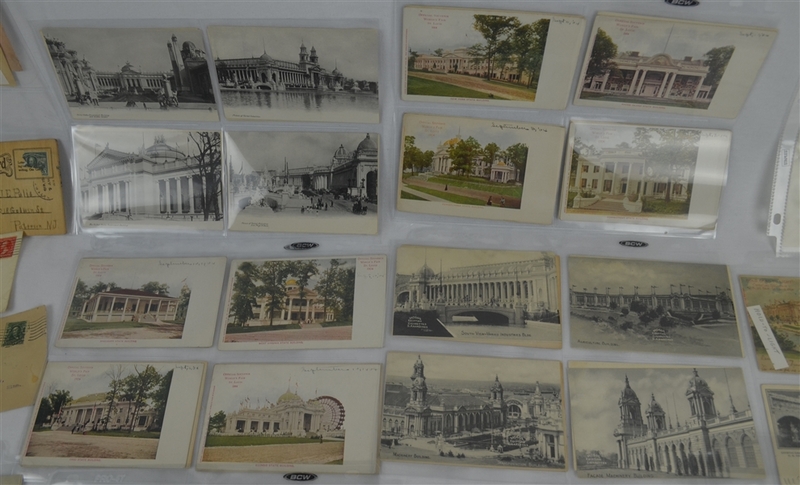 Incredibly, though, only a few of those original buildings still stand — the rest were designed to be temporary structures, which were easier to construct and easier to dismantle. 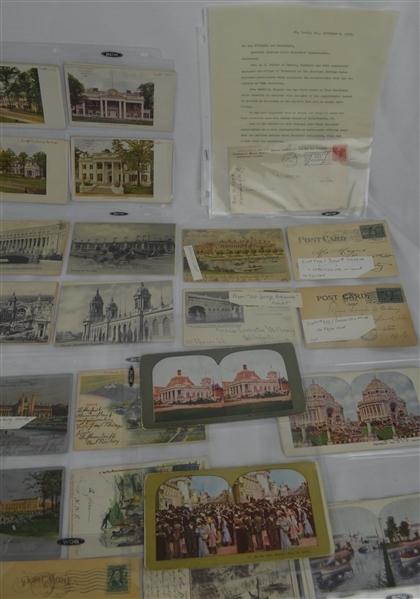 Tremendous opportunity to acquire a truly unique representation of the World's Fair from 1904.